Caravans provide the perfect solution to get away and onto the open road. From exploring nature to sitting by a campfire and gazing at the stars to discovering a place you never knew existed, some of the best times you’ll ever have can be had with your vehicle. To get to that stage, you need your vehicle to be in great shape. 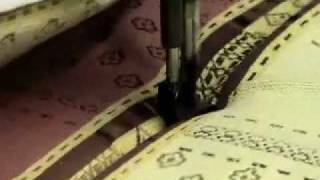 Over time, upholstery can begin to get tired and worn. Why is caravan upholstery so important, though? The number one purpose of upholstery in many peoples’ eyes is to provide comfort. Whether that’s for the driver’s seat, sitting area or anywhere else, being able to be comfortable is a must if you really want to enjoy your time away. If you take the time to think about it, it’s normal for seating to decline down the years. There’s only so much wear and tear that anything can withstand and unfortunately, caravans aren’t exempt. 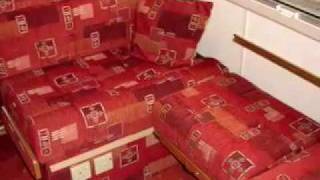 Caravan upholstery can restore those once cosy cushions back to their previous glory. You’ll be able to sit comfortably whatever terrain you’re tackling. Just like in the home, not many things are more off-putting than damaged coverings and furniture. Down the years, you may have managed to get rips, stains or even discolouration affecting your seats. Not the most attractive of prospects by any stretch of the imagination. Brand new cushion covers can breathe new life into the look of your vehicle. Whether you want to get back the original look or head off in a whole new direction, a refreshed traditional or modern visual is easy to achieve. If your leisure vehicle is beginning to get a little old, it may be time to consider renewing it. Similar to the aesthetics point, old-fashioned interiors can sometimes bring down the aura of a once majestic vehicle. If this sounds like a familiar woe, there’s no need to worry. A little TLC and caravan reupholstery can give your dated décor a touch of modernism. There are hundreds of different materials and fabrics to choose from. Whether you want the classy appeal of leather or the unmistakably welcoming essence of cotton, you can choose whatever you like. Perhaps you’ve always wanted to customise your seating but never got round to it. Maybe you’ve never been a huge fan of your interior. Whatever your reasoning, you can be sure to find something that suits your tastes and lets you love your vehicle the way you did when you first got it. Maybe not strictly associated with caravan upholstery but well worth a mention. Many of us are guilty of being overdue with cleaning our vehicles. Especially true if they’ve been sitting dormant for a few months. If you’re having your cushions filled or your covers changed, there’s no better excuse to have a big clean and tidy up. You wouldn’t want your new upholstery paired with a messy caravan. A spick and span vehicle will also complement your brand new covers incredibly well. 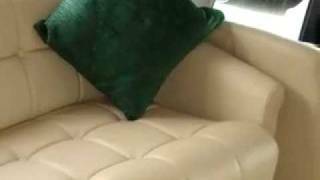 There’s no denying that caravan upholstery is a great option for a number of problems that leisure vehicles will naturally encounter. If you’re looking to plump those cushions and rejuvenate the appeal, you can get exactly that. No matter the age, make, model or condition of your vehicle, Regal Furnishing can get you set up with an interior you’ll instantly adore. All you have to do is tell us what you want and which materials to use. From there, we can complete the whole project in just one day. You’ll be able to enjoy your new upholstery straight away.